11 double, twin and family rooms all situated around a private court yard. 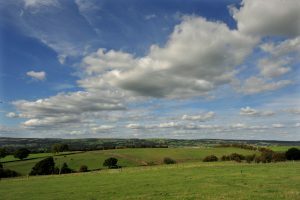 Most rooms have fantastic panoramic views of the Wharfe valley. Ideally suited for the start of the Dales Way and Six Dales walk, our new courtyard complex can cater for walking groups and family gatherings. 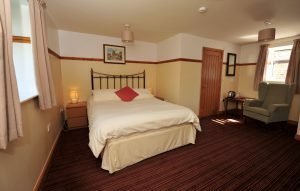 All chalet type rooms are suitable for our disabled or elderly guests and, like all the other rooms, are en-suite. 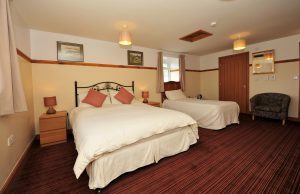 We have three family rooms each consisting of 1 double and 1 single bed, however both rooms are large enough to take another single bed with ease. 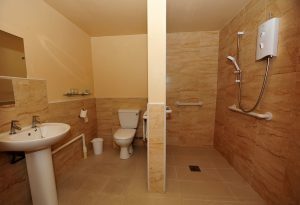 These rooms are situated separate from the main building and offer a higher degree of privacy with private parking. All rooms have at least two windows so our guests can enjoy the extensive views over the Wharfe Valley. 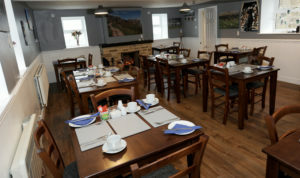 A view of our dining room where we serve fresh full English breakfasts 7.00 – 900, Mon – Fri, 7:30 to 9:30 Sat – Sun. Earlier by arrangement. Copyright © 2018 Chevin End Guest House. All Rights Reserved.